Our most aggressive mounting adhesive. 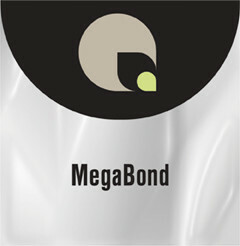 MegaBond features a high tack rubber adhesive coated to both sides of a white polypropylene film. The white carrier film prevents bleed through when mounting prints to black or dark colored boards. One of our most economical and versatile mounting adhesives. Features a unique moderate-tack rubber adhesive that facilitates print positioning. Form permanent bonds to most common laminating boards and virtually all grades of print media. Less susceptible to heat and moisture.